As mobile shopping gets safer, will more people purchase on the go? what they’re willing to buy. percent) feel that mobile shopping is completely safe. mobile shopping somewhat safe, versus 34 percent of adults over 55.
somewhat safe versus 39 percent of women. So far, it remains to be seen what people are willing to purchase. Ringtones, games and songs are easy to see, but are consumers willing to risk purchasing big ticket items on their mobile devices? And while companies like Fandango are helping make the process of purchasing tickets on the go easier, purchasing larger items like electronics and cars won’t make sense on phones, especially if those products have the same shipping delay as things purchased online. As iPhone comparison applications like Amazon Remembers, Save Benjis, and Frucall are learning, consumers often forgo price performance and time saving options for in person impulse purchases. But confidence in mobile shopping is the first step to overcoming that. Consumers were once afraid of sending their credit card information over the Internet. And we all know how that turned out. 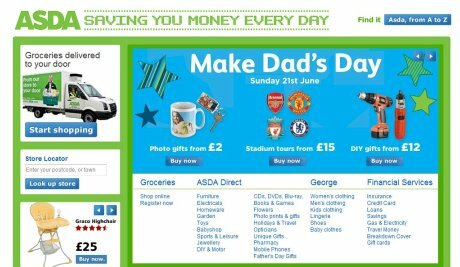 Asda.com was the third biggest supermarket online in terms of traffic in the most recent Hitwise Hot 100 list, but its site has been looking dated for a while and in need of a revamp. However, the supermarket has recently launched a new version of Asda.com, and has revamped its grocery, financial and Asda Direct sections. and what their campaigns are capable of there. However, it is still unclear if the large social media networks will adhere to the standards.